Curd contains many nutrients such as protein, calcium, magnesium, vitamin B-6 and vitamin B-12. They are are very useful for our body. Curd helps to digest the food and it strengthens our bones and teeth. Either you can eat or can drink it in the form of lassi. 1. Put curd and sugar in the mixer and beat it till sugar dissolves. 2. Put ice cubes in it and beat it again. 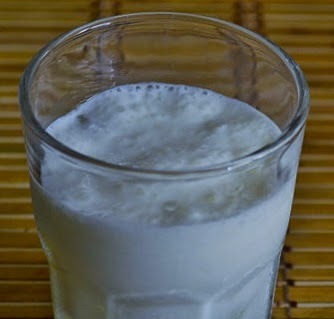 The delicious Lassi is ready for drink Keep it in a glass and serve it.